June 2011: The six courses that comprise England’s Atlantic Links (www.atlantic-links.co.uk) have been ranked the “Best in County” in Cornwall, Devon and Somerset by Top 100 Golf Courses after the golf course rating website recently extended its course ranking categories to focus on England’s best courses on a county-by-county basis. 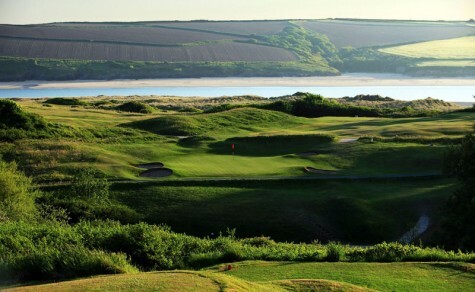 St Enodoc in Rock was recognized as the top golf course in Cornwall with nearby Trevose a close second whilst the Atlantic Links courses of Saunton East, Royal North Devon and Saunton West respectively were ranked the top three tracks in Devon. The news that Burnham & Berrow was considered the number one golf course in Somerset was hardly a surprise as the club will host both the English Amateur Stroke Play Championships (for the Brabazon Trophy) and the British Boys Championships this year. This completed the awards sweep for these spectacular courses which form a tantalizing trail of championship links along the dramatic coastline of the north Atlantic Coast. “Naturally, the individual courses in the Atlantic Links are all thoroughly delighted to have been recognized as the premier courses in each of the counties of South West England. However, as a group, it underlines the quality and prestige of the Atlantic Links offering as a whole and endorses the reputation that we have as one of the premier golfing destinations in the UK,” comments Tuck Clagett, General Manager of St Enodoc Golf Club in Rock. The Top 100 website(www.top100golfcourses.co.uk ) has featured thousands of golf courses in more than 150 different countries in numerous ranking categories for many years, but was encouraged by site visitors to extend the rankings to include the best golf courses on a county-by-county basis. The “Best in County” ranking was derived after extensive research which included the gathering of all available golf course ranking/rating data and the polling of hundreds of golfers from professionals, golf journalists and amateur golfers. Thank you for the nice text and the information! I am going to bookmark it and come back again! I just wonder whether the courses mentioned in the article are amongst the top 100 golf courses in the uk ?